Dr. Cyrus Peikari says everybody's happier with this high-touch, customized approach. When 44-year-old Donette Kean began suffering from rheumatoid arthritis, she traveled to the Arizona outpost of the renowned Mayo Clinic for treatment. Then she found North Texas physician Cyrus Peikari. Kean, the owner of a Dallas wine importing company, visited Peikari on the recommendation of a neighbor. Peikari told his new patient his goal for her was to “live life fully,” and to shed her regimen of arthritis medications.Peikari spent time digging into Kean’s situation and decided hormone replacement therapy could be the answer. After six months, it was clear it was. After nearly a decade of physician leadership positions at Baylor Medical Center of Garland and Presbyterian Hospital in Dallas, Peikari opened a solo medical practice in 2006. He transformed it into a concierge medical practice in 2010. Peikari sees no more than 200 patients at his Walnut Hill Lane office, spends at least 30 minutes with each patient, and is always available by phone or email. He says he has found his nirvana. With concierge medicine, also called retainer-based, or boutique, medicine, physicians typically charge a monthly or annual fee. Concierge doctors limit the number of patients they see and offer enhanced access, longer appointments, and highly customized patient care. Many, including Peikari, do not take insurance. According to a report from the Medicare Payment Advisory Commission, there are about 15 retainer-based practices in Dallas-Fort Worth. Two kinds of patients tend to be attracted to these groups: high-income individuals who place a high value on their time and ready access and people with complex medical conditions. Lloyd Lowe, 53, an investment manager and owner of LD Lowe Wealth Advisory, has been a patient of Peikari’s for six years and says he appreciates the time-efficient approach. “I have never waited in his office,” Lowe says of Peikari. “He gives great service. He serves one client at a time instead of the cattle-call approach of most doctors,” Lowe says. Peikari relies on technology to improve the healthcare experience. Voicemail, email, electronic health records, and online scheduling provide an unfettered flow of information, he says. It is a model designed to promote doctor-patient relationships, increase face-to-face time, reduce physician workload, instill in patients a sense of personal responsibility for their health, and combat administrative waste. During those longer appointments, sometimes topics beyond medical issues arise. Peikari says, for example, that he has been asked to talk to patients’ spouses to resolve relationship issues. And he welcomes the opportunity. Peikari also has become a de facto career adviser. Kean says she left her post at global financial services firm Morgan Stanley because of health reasons. She credits Peikari’s “profound business advice” for her entrepreneurial success. In contrast to the high-touch concierge approach, the typical traditional physician visit lasts 18 minutes. The average patient is able to speak for 23 seconds before the physician interrupts. One out of three parents reported spending less than 10 minutes with the clinician at their last well-child visit; only one out of five spent more than 20 minutes. Trying to have a meaningful discussion under these circumstances is difficult. Physicians often select treatments based on what they believe their patients would want, absent an actual conversation. Predictably, patient satisfaction is directly tied to more time with the physician and less time in the waiting room. DrScore.com, an online rating website, analyzed 36,000 patient surveys. It found physicians were considered less caring when wait times were longer than 15 minutes and visits were less than 10 minutes. Most physician offices are set up to deal with episodes of illness. However, nearly half of Americans have at least one chronic condition, requiring complex care and often involving coordination with several clinical, occupational, and social services. More than four out of 10 physicians function without non-physician staff that can work with chronic-disease patients, such as nurse case managers and social workers. Concierge physicians handle these things themselves, with longer appointments. The complexity of the healthcare system places an enormous administrative burden on medical offices. Physicians, for example, spend about three hours weekly dealing with insurance plans, and nursing and clerical staff spend much more than that. U.S. practices spend between $23 billion to $31 billion annually on these transactions. On average, physician offices spend about 20 hours a week seeking permission from a patient’s insurance company before providing care. More than three out of four physicians believe insurers use excessive preauthorization for tests, procedures, and medications, according to a survey of 2,400 physicians by the American Medical Association. More than one out of three have a rejection rate of 20 percent for first-time preauthorization on tests and procedures, and more than half of physicians have a 20 percent rejection rate on prescriptions. About one half of physicians have difficulty obtaining preauthorization from insurance plans. About two out of three wait several days for permission. About the same proportion report difficulty in determining which tests, procedures and medications require preauthorization. Qliance, a Seattle concierge practice, has not accepted insurance reimbursement since 1997. Its 13 salaried physicians serve 4,500 patients who pay a flat monthly “subscription fee” for unlimited visits. Dr. Garrison Bliss, chief medical officer, says the business model works well, because 40 to 50 percent of reimbursement to a typical primary-care clinic goes toward billing and collections. Bliss says the model could save the U.S. healthcare system $250 billion to $350 billion each year. Peikari points out the typical physician office has 4.5 employees for every doctor. Because he is cash only, and doesn’t get caught up in the red tape of insurance, he operates with just one medical assistant. The physician encourages all of his patients to have insurance for catastrophic medical events. High-deductible health plans fit neatly into the concierge-medicine business model. Cost can be a barrier for concierge patients. Peikari’s fee is $360 per month, which he admits places his among the higher-priced retainer practices. He says he based his rate on what the average person spends each day on “junk food”—about $12 a day, in his estimation. Peikari believes he can show a return on investment by saving patients hundreds of dollars monthly by weaning them off medications and helping them forestall chronic conditions by coaching them on proper health behaviors. “The idea is to spend it on healthcare and get more for your investment. 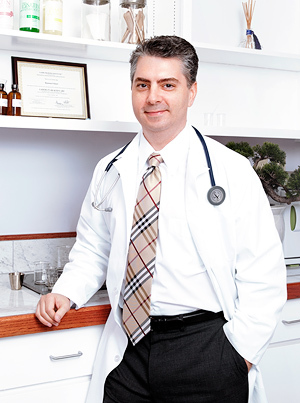 The reason people pay for concierge medicine is that they see results,” he says. Many U.S. physicians are eyeing the concierge medicine approach. About 16 percent of U.S. doctors says they planned to switch to a cash-only practice within three years, according to a survey by Irving-based healthcare research group Merritt Hawkins. A 2011 Deloitte Center for Health Solutions survey asked physicians what they considered an ideal practice setting. The top two answers: an administrative role in a large health organization, or a concierge medical practice.